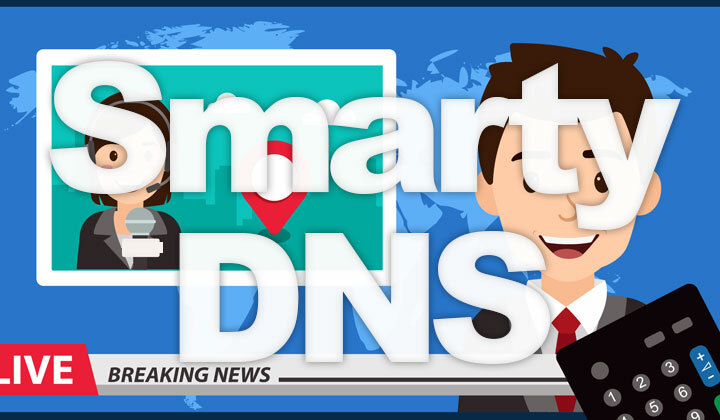 Not all Smart DNS proxy services are equal — this is my review of SmartyDNS & what I think makes them better, easier than other providers in April of 2019. Smart DNS proxies are often a better choice than VPN for unblocking, circumventing geolocation restrictions of online streaming services. And when watching your favorite tv channels, or a movie online, the last thing you want is the connection to get cut off in midstream or poor quality video. Both are problems that are easily solved with SmartyDNS. Instead of a VPN routing the whole stream through an external server, which can slow you down — thanks to DNS technology, you can appear to be located in another country location while remaining a direct connection to the video stream. A common downside to many Smart DNS proxies is the difficulty to set up the connection, at least compared to VPNs. With most providers you have to find, and manually edit your DNS configurations. And since it’s so bothersome, you end up leaving the settings on even when you don’t need to unblock any location restrictions. Which is not advised. With SmartyDNS, they have solved this problem like this, and made use extremely easy, similar to VPNs. You have a connection client where you can enable and disable the service with a click of a button. It’s super easy! Also SmartyDNS works on numerous devices, such as; Mac, Windows, iOS (iPads iPhones), Android, Apple TV, XBOX360, XBOX ONE, Samsung Smart TV, Roku, FireTV, PS3, PS4 and many more. Click here to find out more about SmartyDNS. What’s your review, experience with Smart DNS proxies? Comments, questions below are most welcome. Please note; Some of the posts and reviews on this blog contain affiliate links, from which the blog owner may gain monetary benefit. Sales on such websites are tracked through cookies. However, storing them is voluntary. Huge thanks for reading and your kind support to help the site running.